A move to legalize medical marijuana in South Korea picked up a key backer, increasing its chances of approval by the end of this year. South Korea would be the only country in Asia, besides Israel, to approve medical cannabis for qualifying patients, which would mark a significant milestone in the global medical cannabis industry. India allows medical cannabis cultivation for scientific purposes, but there is no legal access framework for patients. Thailand is working on a draft law to greatly expand medical marijuana regulations. Koreaâs MMJ advancement for its population of 51 million came when the Ministry of Food and Drug Safety (MFDS) said it would support Rep. Shin Chang-hyunâs bill (download the text of the bill in Korean here) to revise the Act on the Con trol of Narcotics. That act, which would permit the use of medical marijuana, is currently before the National Assembly. Shinâs Democratic Party has the most seats in the countryâs parliament. The ministry is also seeking to make changes to the law, including identifying which medical cannabis brands would be approved and exactly how the medicine could be accessed by patients. Kwon Yong-hyun of the Korean Cannabis Association told Marijuana Business Daily the ministryâs move represents a âbreakthroughâ for the countryâs burgeoning medical marijuana industry. The only medical cannabis products that would be permitted are Epidiolex, Marinol, Cesamet and Sativex for conditions including epilepsy, symptoms of HIV/AIDS and cancer-related treatments. If the bill is approved, patients requiring medical cannabis would be required to apply to the Korea Orphan Drug Center, a government body established to facilitate patient access to r are medicines in the country. A prescription from a medical practitioner would be required, and approval would be on a case-by-case basis. Separately, an Israeli cannabis company and a Canadian private equity firm announced plans to supply the South Korean market with medical cannabis, though no details were provided on what will be supplied in light of the restrictions on approved products by the ministry. 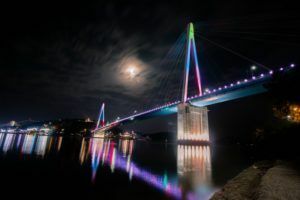 The Korean Cannabis Association arranged for the supply of MMJ from Tikun Olam, a licensed cultivator of medical cannabis in Israel, and York Bridge Capital, a Canada-based private equity firm, according to a news release. âWe are making connections with patientsâ communities and associations of professionals. We have momentum,â Kwon of the Korean Cannabis Association told MJBizDaily. To sign up for our weekly Canada marijuana business newsletter, click h ere.